Johnson Middle School is an important historical site in the in the story of American Civil Rights. Johnson is the location of the Mendez farm. 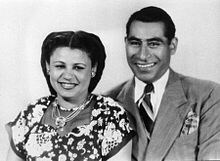 The Mendez family sued Westminster for the right of their children to attend a "white" school. This landmark civil rights case set the stage for Brown vs. the Board of Education which made segregation of public schools illegal in the United States. Mendez v. Westminster brought an end to segregation in O.C. schools - and ultimately throughout the state and nation. their aunt and three cousins to enroll at the 17th Street School in Westminster. allowed; they had to enroll at the "Mexican" school 10 blocks away. in California and was a precedent seven years later for Brown v. Board of Education. who now lives in Fullerton. children also attended separate schools), but it wasn't always the case. legislature changed a few laws. non-white students were educated in segregated schools. 1896 case of Plessy v. Ferguson, was the law of the land. was being interned at Poston, Ariz.
went to the Orange County School District. They rejected his requests that his children be allowed to enroll. rights attorney, to sue the Westminster school district. injunction that would order the schools to integrate. Lorenzo Ramirez) on behalf of 5,000 similarly situated children. right thing to do. He was going to right a wrong." not treated equally by attending inferior schools with substandard books. Marcus also argued that the Mexican children were not given adequate language testing before inclusion in the "Mexican"
The school districts' lawyer, on the other hand, said education was a state matter and the federal courts had no jurisdiction. immersion with the already fluent English students. extensively on the Mendez v. Westminster case. "That decision overturned a law that said segregation was OK."
Mendez v. Westminster also paved the way for another historic civil rights trial. precedent when he argued Brown v. Board of Education in front of the U.S. Supreme Court. ground was broken in Santa Ana for the Gonzalo Felicitas Mendez Fundamental Intermediate School. It opened in 2001. State Board of Education does not include the case in its K-12 content standards. should be ashamed of themselves for not including it. It's remarkable and frustrating." But some people are trying to raise the awareness. beginning of the conversation," says Robbie, who also has co-written a children's book called "Mendez vs. Westminster." fighting the good fight. Now, Mendez, who speaks at schools throughout the region, says it's her mission to tell people. make sure everyone knows what you did."